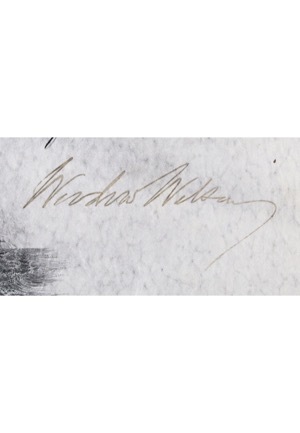 The 28th President of the United States Woodrow Wilson signed these three Presidential documents in black ink. One is dated April 13th, 1916 and appoints Jonathan H. Warman to the position of “Chief Machinist in the Navy, to rank with, but after, Ensign.” Wilson signed on the appropriate line and in our opinion the signature rates a vintage 7. A second document dated August 22nd, 1916 appoints Enclio B. Frick to the position of “Colonel in the Medical Corps”. 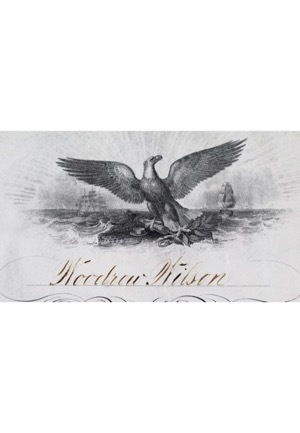 Wilson signed on the appropriate line that has lightly faded but presents well and in our opinion the signature rates a 6. 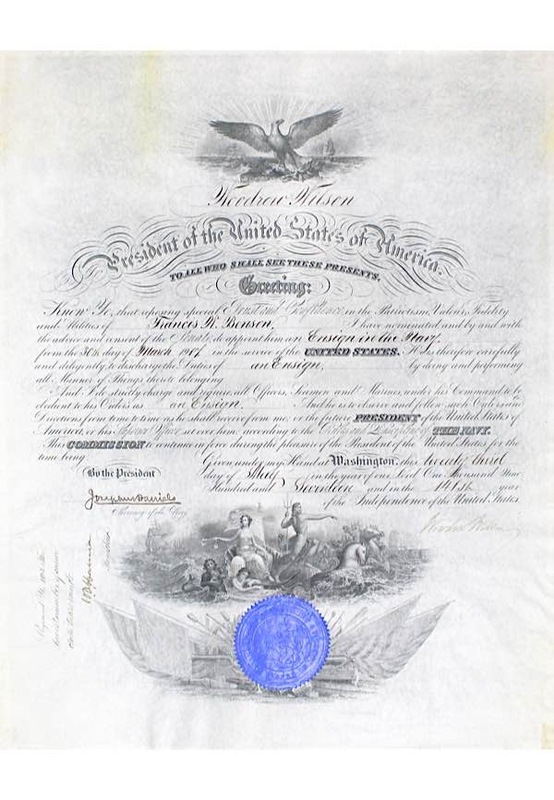 The third document is dated May 23rd, 1917 and appoints Francis W. Benson an “Ensign in the Navy”. Wilson signed on the bottom and in our opinion the signature rates a vintage 7. 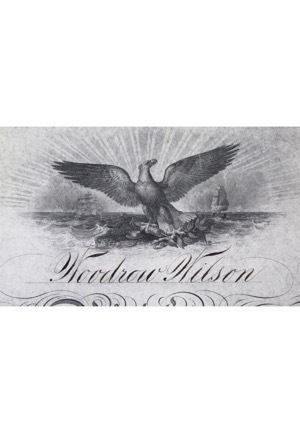 All documents are also signed by Wilson’s Secretary of the Navy/War and have the appropriate Presidential seal. Age appropriate fading to the ink and documents is present. Accompanied by a LOA from JSA and two PSA/DNA LOAs.